The Caribbean region is highly dependent on imported fossil fuels and food. The Windsor High School imports all of their food for the student’s cafeteria from outside the country. More than 80% of the Nation of the Bahamas does the same due to a systemic failure in agricultural development and incentives. The Windsor school is provided energy from the national power grid which receives electricity generated from large diesel engines consuming blends of fuel oil and diesel fuel. The goal of the Hybrid Center Bahamas is to instruct and demonstrate on the topics of SUNfarming Food & Energy, electromobility and bioltec’s fuel efficiency management (renewable fuels) in an alliance with 700 Islands Energy to create the conditions for the development of an economic model that will contribute to the independence of the Caribbean countries in terms of fossil fuels as well as food and water security. Since the installation of the SUNfarming and biotec system, a portion the food and energy consumed by Windsor Schools is not produced renewably and sustainably. In addition the basics of photovoltaics and agriculture along with the specific of operating the hybrid center are now included in the science curriculum of the school. So students and faculty are able to operate the hybrid center and instruct others on the value of such systems. German companies SUNfarming GmbH and bioltec systems GmbH cooperated with the Bahamian company, 700 Islands Energy, to implement a Hybrid Center for Renewable Energy Sources at Windsor High School at Albany, Nassau. 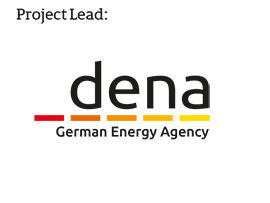 Support is provided by the Deutsche Energie-Agentur GmbH (dena, the German Energy Agency). The Hybrid Center Bahamas provides renewable power and renewable mobility combined with food production, all linked to a training program at one single site – a very unique concept. This project is part of the worldwide dena Renewable Energy Solutions Programme coordinated by the Deutsche Energie-Agentur (dena) – the German Energy Agency – and supported by the German Federal Ministry for Economic Affairs and Energy (BMWi) within the German Energy Solutions Initiative.. 700 Islands Energy, a domestic Bahamian company, developed and coordinated this project for Windsor High School at Albany. The official opening of The Hybrid Center Bahamas was on 10th of December, 2018. In this Hybrid Center, a greenhouse with roof-integrated photovoltaic panels, produces electricity from sunlight, while vegetables, fruits, flowers or medicinal herbs are cultivated at a high yield inside. Integrating renewable power with a cogeneration plant produces electricity and hot water simultaneously. Together with a battery storage, a smart grid management system makes electricity available as a 24/7 stand-alone solution and/or grid tied. Electric and renewable fuel powered vehicles showcase renewable mobility. 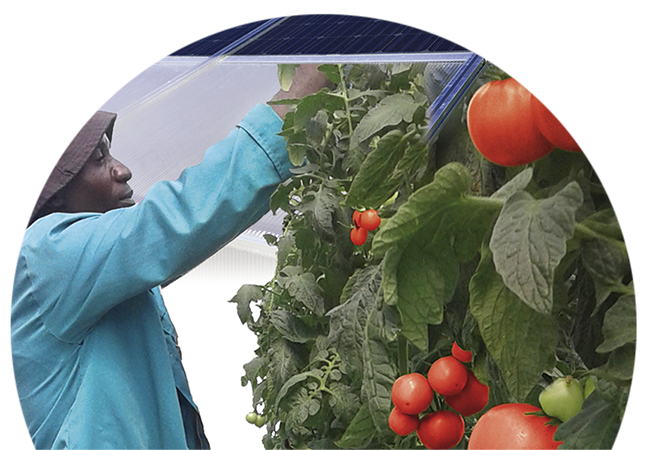 SUNfarming and bioltec strive to simultaneously promote climate and resource protection, short regional value chains, provide energy, create jobs and ultimately increase quality of life sustainably. Both companies’ competencies have been integrated into the design. Demonstration, training, application and technology transfer of approved high technologies are the key words for this “Bahamian – German Hybrid Center”. Additionally, it delivers the base for future joint research and development, including business models for commercial applications. The partners are bringing together different technologies for system integration, be it for on-grid or off-grid applications that are adaptable to local conditions and customer needs. With its Food & Energy concept, SUNfarming is the winner of the Intersolar Award 2017, category “Outstanding Solar Projects”. The jury of Intersolar, one of the world’s most important solar fairs, was impressed by the global development potential as well as the great social benefits, including the creation of new jobs, of the system already in operation in South Africa. This concept was also selected by an independent jury of experts among the TOP 3 finalists in the category Sustainable Development in the Greentec Award 2018, the world’s most important environmental award. bioltec sees itself as an engineering office with extended workbench that develops solutions in the field of renewable energy and markets – from special customer-specific application via OEM projects to series production. Under the slogan “Fuel Efficiency Management” provides bioltec ® to systems for economic and environmental optimization of heavy commercial vehicles by the use of alternative fuels. is a renewable energy development company focused on reducing energy expenses and carbon emissions within the nation of Bahamas and the greater Caribbean region. They own and operate the largest Biodiesel refinery in the Caribbean in partnership with Bahamas Waste Limited, the Bahamas’ premiere, and publicly traded waste collection company. The refinery is located in Nassau on the Bahamas Waste campus. Bahamas Sustainable Fuels, the partnership entity produces and distributes locally produced high-quality Biodiesel for use as renewable fuel for transportation and power generation. The goal of 700 Islands Energy is to reduce the cost of energy and emissions to improve and expand the quality of life for the people of the Commonwealth of the Bahamas and the greater Caribbean region. renewable energy sources and intelligent energy systems. As Agency for Applied Energy Transition dena helps achieve energy and climate policy objectives by developing solutions and putting them into practice, both nationally and internationally. In order to do this, dena brings partners from politics and business together, across sectors. dena’s shareholders are the Federal Republic of Germany and the KfW Group. 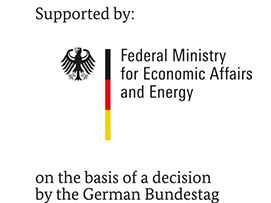 The transfer of energy expertise, the promotion of foreign trade and the facilitation of international development cooperation are part of the German Energy Solutions Initiative, which is coordinated and financed by the German Federal Ministry for Economic Affairs and Energy. 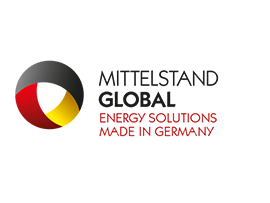 The initiative offers networking and business opportunities in Germany and abroad, it showcases reference projects and facilitates know-how exchange.